A resolution of sympathy was passed to the relatives of the Hon. 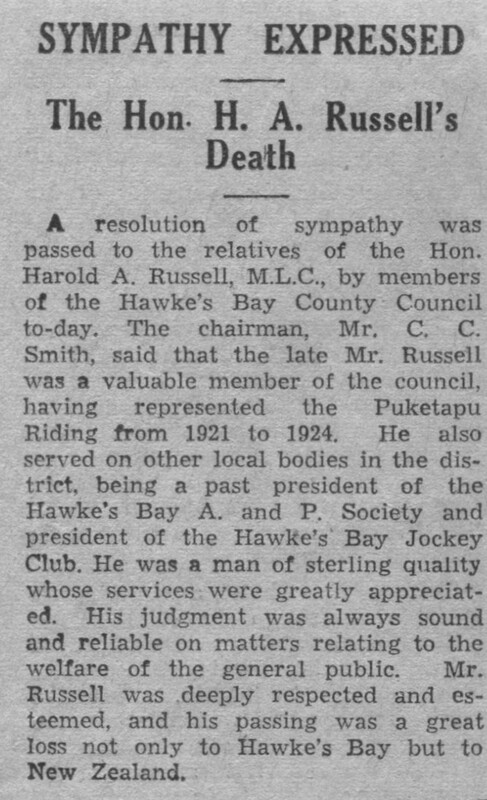 Harold A. Russell, M.L.C., by members of the Hawke’s Bay County Council to-day. The chairman, Mr. C. C. Smith, said that the late Mr. Russell was a valuable member of the council, having represented the Puketapu Riding from 1921 to 1924. 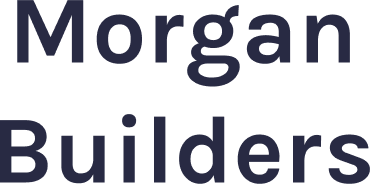 He also served on other local bodies in the district, being a past president of the Hawke’s Bay A. and P. Society and president of the Hawke’s Bay Jockey Club. He was a man of sterling quality, whose services were greatly appreciated. His judgment was always sound and reliable on matters relating to the welfare of the general public. Mr. Russell was deeply respected and esteemed, and his passing was a great loss not only to Hawke’s Bay but to New Zealand.